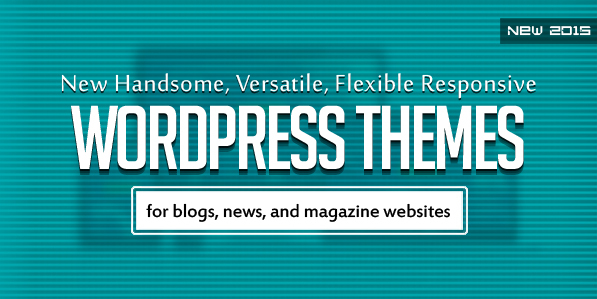 New HTML5 WordPress themes for blog, news, magazine and corporate websites. 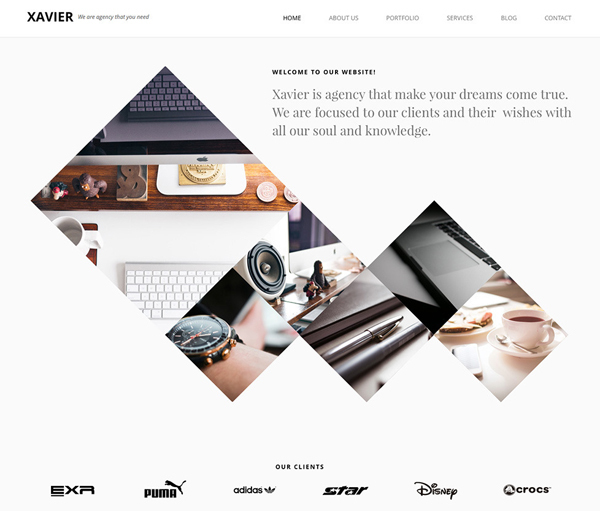 All themes are fully responsive with modern UI and UX design, suitable for any kind of creative or business use. All themes are designed to give your brand or service an air of esteem and confidence, easy theme is fully customizable, built with best frameworks and made with HTML5, CSS3, JS, jQuery & SEO ready and looks amazing on all types of screens and devices. Maddux is a handsome, versatile, flexible, unique, and responsive WordPress theme for blogs, news, and magazine style websites. Designed to be incredibly easy to use and with a modern style to complement your text, photos, videos, music, and other content in a way that keeps readers engaged and returning to your site. MISSANO is a simple portfolio theme with Drag & Drop Page Builder (Visual Composer Premium). Featuring 7 home page variants with AJAX powered portfolio, Unlimited Colors, Fullscreen Image Sliders, Fullscreen Video, Parallax and Google Web Fonts integrated. Future 15 is a tech savvy multipurpose responsive wordpress theme, powered by famous redux framework, ready to go with woocommerce. Composite of all requirements for the stylish website, your corporate portfolio, your business site and much more. Titania is a Responsive WordPress Theme. With multi-purpose theme, you can choose any favorite apprearance of Home Page, Portfolio, Blog, Contact and About Pages from its set of modern, beautiful and clean versions. Multi-Author Blog WordPress Theme is an absolutely unique theme concept – never done before. You can turn your WordPress website into live multi author blogging portal. Users can register themselves and start writting their blog posts and manage their own media. SYNTH is responsive multipurpose WordPress theme suitable for agency, business, companies or individuals. SYNTH is retina ready, translation ready, parallax ready and much more. It includes 2 Awesome Sliders (Master Slider and Flex Slider). It is a great way to present your work at the highest level. It is based on popular Twitter Bootstrap 3 framework. Fringe is WordPress ecommerce theme based on WooCommerce plugin. It is suitable for cosmetic, Shoes, beauty, women and fashion related online stores. It is also multipurpose theme which can be used for any kind of online store. Fringe WooCommerce theme is looking good with it’s clean and fresh design. Cone is a responsive portfolio Onepage WordPress theme for the professional creative. It looks amazing on all types of screens and devices. Important: Images are not included in the download pack. Nany is creative, clean and powerful Multi-Purpose WordPress theme with incredibly flexibility with lots of options and variation. It has included multiple Home page layouts, parallax slider, posts slider, revolution slider, powerful admin panel, 650+ google font, and WooCommerce support. MAXBLOG is a clean blog & magazine wordpress theme, best suited for news, magazine or blog websites. The theme features a widgetized homepage with 25 widgets and 3 sections, Which means you can build your homepage content by drag & drop modules into sections. This makes the theme very easy setup and customizable. Urban Mag is the most efficient WordPress theme for your magazine , news editorial, personal blog, newspaper website. It has a lot of option that magazine website need. For example, layout builder for homepage, ability to change layout for each categories, breadcrumbs for post and category, social widget, post widget that has many options to sort and much more. This theme comes with 4 predefined styles.